On Oct. 1, a new round of foreign H-1B guest workers will began to work in the United States. 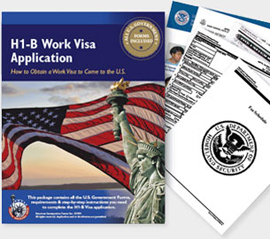 H-1B visas are for skilled workers in specialty occupations, mainly in engineering and computer occupations. H-1B visas are an important, albeit flawed, mechanism for highly skilled immigrants to enter the United States and contribute to our economy. Highly skilled immigrants contribute mightily to innovation in the United States, especially through patents. In 2006, immigrants were roughly 12 percent of the U.S. population, but 24 percent of international patent applications from the United States had at least one non-citizen inventor. The real rate is even higher since those statistics don’t include immigrants who became U.S. citizens. Immigrants from China, Taiwan, India, Canada, Germany and the United Kingdom were especially likely to patent. H-1B workers and other highly skilled immigrants add tremendous value to America’s economy. However, government regulations on these skilled immigrants limit their potential economic contributions. To increase these benefits, these visas should be reformed. This article appeared on The Hill (Online) on October 3, 2014.